Bell’s palsy describes an unexplained weakness or paralysis of the muscles on one side of the face. Afflicted individuals may be unable to close the eye on the affected side of the face, and may also experience tearing, drooling, and hypersensitive hearing. The onset can be quite sudden, sometimes occurring overnight. Although the condition is unsettling and inconvenient, it is typically not indicative of a serious health problem. The weakness and paralysis resolve completely in the majority of cases. The symptoms of Bell’s palsy arise from an inflammation or swelling of the seventh cranial nerve, otherwise called the facial nerve. Both sides of the face have a facial nerve which controls the muscles on that side of the face. The course of the facial nerve passes through a bony canal in the skull. When the nerve becomes swollen, it is compressed since the canal does not allow for any expansion. As further swelling increases the compression, nerve signal conduction is impeded or even prevented. The interference with the nerve signals is seen in the loss of muscle control and tone. 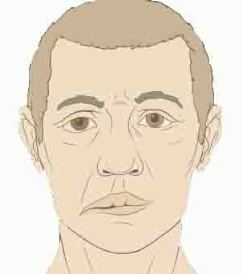 Bell’s palsy has been described as a diagnosis of exclusion because several other disorders present similar symptoms. Facial palsies have been linked to conditions such as Lyme Disease, ear infection, meningitis, syphilis, German Measles - Rubella , Mumps, chickenpox (varicella), and infection with Epstein-Barr virus (e.g., infectious mononucleosis). True Bell’s palsy is an idiopathic facial palsy, meaning the root cause cannot be identified. Although Bell’s palsy is not life-threatening, it can present symptoms similar to truly serious conditions, such as a stroke, ruptured aneurysm, or tumors. Why the facial nerve becomes inflamed in Bell’s palsy is a matter of some debate, and medical researchers and doctors are not in complete agreement. The best-supported evidence implicates the herpes simplex virus (HSV), which is responsible for cold sores and fever blisters. HSV infection has been discovered in up to 70% of Bell’s palsy cases. Most people harbor this virus, although they may not exhibit symptoms. The major symptom of Bell’s palsy is one-sided facial weakness or paralysis. Muscle control is either inadequate or completely missing. There may also be involuntary facial movements, such as twitches, that accompany certain facial expressions. Afflicted individuals frequently have difficulty shutting the affected eye and may not be able to close it at all. Every year, approximately 40,000-65,000 Americans are stricken with Bell’s palsy. Worldwide, there is an annual incidence of 20-30 cases per 100,000 individuals. An individual can be affected at any age, but young and middle-aged adults are the most likely to be affected. It is unusual to see Bell’s palsy in people less than 10 years old. Bell’s palsy can affect either side of the face, and neither gender seems to be at a greater risk. Pregnant women and individuals with diabetes, Influenza, a Cold , or an upper respiratory infection seem to be at a greater risk. Although it cannot be considered a serious condition from a health standpoint, it can cause extreme stress, embarrassment, and inconvenience for those affected. Approximately 4-6% of all Bell’s palsy cases result in permanent facial deformity, and another 10-15% experience permanent problems with spasms, twitching, or contracted muscles. Between 2% and 7.3% of individuals who have experienced Bell’s palsy will have a recurrence. On average, the first recurrence happens 9.8 years after the first episode; the second, 6.7 years later. One recurrence is very infrequent, and a second is extremely rare. Although Bell’s palsy is not life-threatening, it shares symptoms in common with serious conditions, such as stroke. Therefore, emergency medical attention is a wise and necessary precaution. Bell’s palsy affects the facial nerve, unlike most strokes associated with facial weakness which affect higher nerve centers ultimately supplying the facial nerve. These two disorders can be distinguished clinically because most strokes do not cause weakness of the forehead or eyelid muscles. The fact that Bell’s palsy is a diagnosis of exclusion becomes apparent in the course of the medical examination--the usual mode of examination is to rule out other disorders until only Bell’s palsy is left. Disorders that need to be excluded include demyelinating disease (e.g., Multiple sclerosis), Stroke – heart attack, tumors, bacterial or viral infection, and bone fracture. During the physical examination, the afflicted individual is asked about recent illnesses, accidents, infections, and any other symptoms. A visual exam of the ears, throat, and sinus is done, and hearing is tested. The extent of the symptoms is assessed by grading the symmetry of the face at rest and during voluntary movements, such as wrinkling the forehead, puckering the lips, and closing the affected eye. Involuntary movements are assessed in combination with the voluntary movements. Neurologic exam is done to rule out involvement of other parts of the nervous system except for the facial muscles, which would exclude the diagnosis of Bell’s palsy. In response to the individual’s medical history, blood tests and possibly a cerebrospinal fluid (CSF) analysis are ordered. The results of these tests help determine the presence of a bacterial or viral infection or an inflammatory disease. Electrophysiological tests, in which a muscle or nerve is artificially stimulated, may be used to assess the condition of facial muscles and the facial nerve. Common tests include electromyography, which measures voluntary muscle movement, and nerve conduction velocity, which determines the extent of nerve degeneration. Radiological tests may also be included, such as an x ray, as well as imaging tests, such as magnetic resonance imaging (MRI) and computed tomography. These tests--especially MRI--allow an excellent view of the nerve itself. Once all other possibilities are exhausted, a diagnosis of Bell’s palsy is made. The following weeks are a period of watchful waiting. Further examinations are done to track recovery. Results from nerve conduction tests may be used to predict an outcome. However, this use is questioned by some doctors and medical researchers since evidence for their predictive value is inconclusive. If facial movement, even a small amount, has not returned within 3-4 months, the diagnosis of Bell’s palsy may need to be reevaluated. Many doctors prescribe an antiviral and/or a steroid for Bell’s palsy, but there is some controversy about whether these drugs actually help. The consensus opinion seems to be that, although drugs might not be necessary, they are not dangerous, and they may help in some cases, especially if there is complete paralysis. If drugs are used, they need to be taken as soon as possible following the onset of symptoms. Antiviral drugs, such as acyclovir, famciclovir, or valacyclovir, are prescribed to destroy actively replicating viruses and prevent further damage to the facial nerve. Steroids, such as prednisone, are thought to be useful in reducing swelling and, therefore, compression on the nerve. In the past, surgery was performed to relieve the compression on the nerve. However, this treatment option is now used very infrequently because it does not guarantee recovery, and it carries the risk of permanent nerve damage. The need to protect the affected eye is universally promoted. Since the individual may not be able to lower the affected eyelid, the eye may become dry, particularly at night. Excessive dryness can damage the cornea. Daytime treatment includes artificial tears and may include an eye patch or other protective measures. Nighttime treatment involves a more intense effort at keeping the eye protected. Eye lubricants or viscous ointments, along with taping the eye shut, are frequently recommended. In cases of permanent nerve damage, cosmetic treatment options, such as therapeutic injections of botulism toxin or surgery, may be sought or suggested. Most individuals with Bell’s palsy begin to notice improvement in their condition within 2-3 weeks of the symptoms; onset. At least 80% of them will be fully recovered within three months. Among the other 20% of afflicted individuals, symptoms may take longer to resolve or they may be permanent. Individuals suffering permanent nerve damage may not regain control of the muscles on the affected side of the face. These muscles may remain weak or paralyzed. If the nerve recovers imperfectly, they may experience involuntary facial twitches or spasms that accompany normal facial expressions. Practitioners of traditional Chinese medicine have historically used acupuncture to treat Bell’s palsy. There are also some indications that facial massage and chiropractic manipulation may help treat the symptoms and improve the outcome. There are also claims of therapeutic value for local injections or ingestion of vitamin B12 supplements. Further reading through our articles on Bells palsy health issues will give you a body of information that will help you decide what options you have to deal with the underlying causes of your problem through giving your body the nutrition products that will assist you body to heal from the inside out. We wish you well in your search for solutions to this Bells palsy problem and your movement towards better health in all areas. SITE DISCLAIMER: Do these products “cure” anything? Of course not… but it stands to reason that if you cleanse your body and feed it the finest nutrition available, giving it everything it needs in balance, on a daily basis, that your body will do what nature intended, and give you the best possible chance to fend off sickness and disease. This Bells palsy your health online information is not presented by a medical practitioner and is for educational and informational purposes only. The content is not intended to be a substitute for professional medical advice, diagnosis, or treatment. Always seek the advice of your physician or other qualified health provider with any Bells palsy questions you may have regarding a medical condition. Never disregard professional medical advice or delay in seeking it because of something you have read. Any natural and/or dietary supplements that are not FDA approved or evaluated must be accompanied by a two-part disclaimer on the product label: that the statement has not been evaluated by FDA and that the product is not intended to "diagnose, treat, cure or prevent any disease”. The Bells palsy resources on this your health online site are not intended to be a substitute for professional advice. While all attempts have been made to verify information provided in this publication, neither the author nor the publisher assumes any responsibility for errors, omissions or contrary interpretation of the web site keyword subject matter herein. The what is Bells palsy your health online site keyword contents are solely the opinion of the authors and should not be considered as a form of advice, direction and/or recommendation of any kind. If expert advice or counseling is needed, services of a competent professional should be sought. The what is Bells palsy author and the Publisher assume no responsibility or liability and specifically disclaim any warranty, express or implied for any products or services mentioned, or any techniques or keyword practices described.